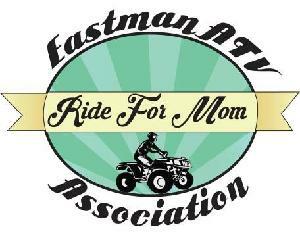 Eastman ATV is committed to making a difference. We are proud to be fundraising for CancerCare Manitoba Foundation and we are asking for your support in helping us reach our goal. CancerCare Manitoba Foundation is the only organization exclusively fundraising for CancerCare Manitoba. While CancerCare Manitoba works in partnership with Manitoba Health, some programs and services may not be eligible for government funding. CancerCare Manitoba Foundation raises funds to bridge this gap and help deliver the best research, patient care, treatment and support for all Manitobans and their families living with cancer. Each year more than 6,000 Manitobans receive a cancer diagnosis. Your continued support helps CancerCare Manitoba and its partners prepare for an estimated 50% increase in the number of people diagnosed and living with cancer over the next decade. By supporting me with a donation, you are helping to support CancerCare Manitoba in its work to change lives and change the course of cancer in our province. Every donation - no matter how big or small- is critical as we work together to stay ahead of this disease.